It’s a fact, agribusinesses grow in Flanders — here’s why. Home to businesses in all areas of agriculture, Flanders happens to be the biggest R&D hub in Europe when it comes to plant biotechnology. The region is also responsible for 75% of Belgian agriculture, considered a global leader in intensive farming, features income per hectare that is significantly higher than the EU average. Agriculture, food and supportive bio industries are extremely big in the region, which boasts diverse companies from startup all the way to mature global firm. It’s not just the presence of agricultural companies in the region that is important – the presence of supportive scientific research and innovation is also key to the thriving agribusiness industry in Flanders. With the growing trend towards a biobased, circular economy, Flanders is poised to provide the greatest benefits and reap the greatest rewards. Its focus on the production and processing of renewable resources, agricultural research and innovation in agricultural technologies and sciences make the region an ideal place for any industry that touches agribusiness. Discover a whole business/knowledge ecosystem for agribusiness. Agribusiness is big in Flanders, and it’s connected to a wide range of industries, initiatives and research fields. In particular, Flanders boasts solid expertise in domains such as green biotech, the biobased economy, the food industry, and life sciences. 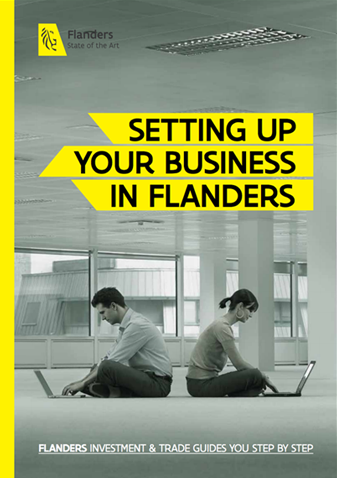 Find out about Flanders’ expertise in specific agribusiness domains. … the food industry is the largest employer in Flanders? … Gent University was the source of the first ag-biotech company in the world (Plant Genetic Systems)? … pork and dairy farming are the largest agricultural subsectors in the region?